Made with 99% Naturally-derived ingredients! 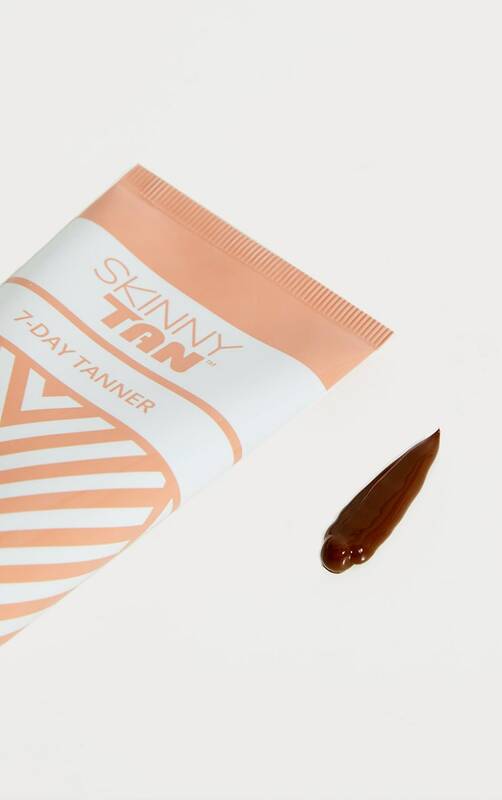 Skinny Tan 7-day tanner is a beautiful natural looking bronze cream tanner that goes on instantly and lasts up to 7 days. 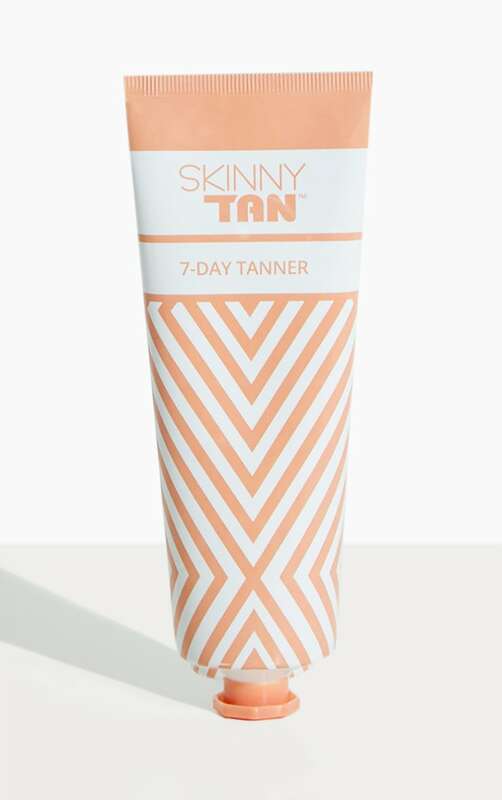 7-Day Tanner is enhanced with Sweet Almond Oil and Guarana.